Write that down, Scheinwald. Write it down! 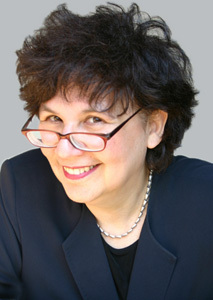 Holly-Jane Rahlens, a born New Yorker, grew up in Brooklyn and Queens and graduated from Queens College. She moved to Berlin soon after where she has lived virtually all her adult life. While remaining an American citizen, she has flourished in the German media world, working in radio, television and film as an actress, producer, and commentator, and creating a series of highly-praised one-woman-shows. She has written two novels for adults, Becky Bernstein Goes Berlin and Mazel Tov in Las Vegas. In 2003 her first novel for teens, Prinz William, Maximilian Minsky and Me, earned the prestigious Deutscher Jugendliteraturpreis as the best young adult novel published in Germany. In 2006 the Association of Jewish Libraries named it a Sydney Taylor Honor Book. It has since been published in 15 countries, twelve languages, and was released in Germany as a major motion picture in fall 2007. The movie has become a festival favorite and the recipient of many awards, among them the highly regarded Dutch film prize “Cinekid-Lion,” as well as a Lola nomination, the German Oscar, for best children's movie. Rahlens has published ten novels to date and is currently working on several screenplays, two of which are based on her novels.